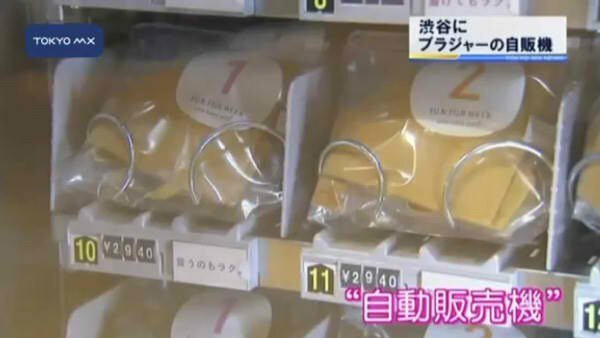 A leading Japanese lingerie company called Wacoal has launched the first bra vending machine. The machine features in a shop in Shibuya, Japan and offers the company’s Une NaNa Cool range of bras. The machine focuses on dispensing Wacoal’s Fun Week bras, which are wireless and the rest of the experience is pretty much what you would expect from a vending machine. The one exception to this is the sizing chart, which customers can consult on the side of the machine. After that, insert your money, select your item and watch the machine spit it out. The vending machine is stocked with the brand’s wireless Fun Fun Week bras. 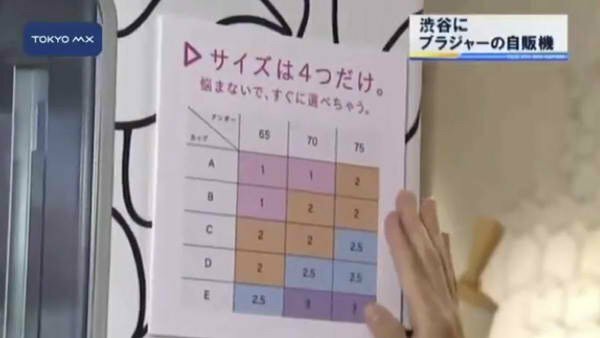 Customers can check out a sizing chart displayed on the machine, insert their money, select the item they’d like to purchase and watch the machine dispense the bra. How well it will work will need testing, which is the purpose of this one shop trial. All going well, the machine will extend into new branches at the edn of August. The big question becomes, will women purchase bras from the machine without knowing that they fit? And as the purpose of a vending machine is usually to streamline the buying process – is this really necessary for bras?